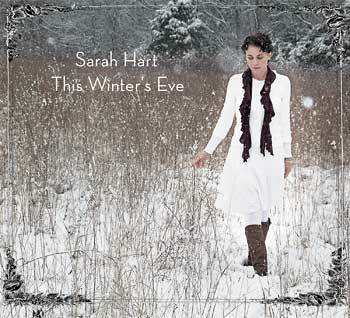 Celebrate the mystery of the Incarnation with Sarah Hart's first Christmas album! Whether you're looking to enrich worship during Christmas or for something to listen to while wrapping presents with the family, This Winter's Eve offers 12 songs that beautifully capture the spirit of the season. Featuring roots of Appalachian music, acoustic guitars and mandolin—this intimate record conveys a sense of peace. Friends Justin Loucks and Ian Fitchuk have done a masterful job producing an album that Sarah calls "the most artful I've ever been a part of doing." Providing a memorable moment, Amy Grant joins Sarah on "What Love Has Done," fresh off of their collaboration on the Grammy-nominated "Better Than a Hallelujah." While setting music to "Prayer for This House"—a poem by the late Louis Untermeyer—Sarah remembers feeling the poet's presence so strongly, it was as if they were writing the song together. Written for her husband, "Bethlehem" paints a picture of families gathering at Christmas to return to the love of God. "Epiphany" reminds us that although a season may be ending, we should carry the Incarnation with us throughout the year. Sarah loves Christmas. Now, after years of waiting for the right songs, she finally fulfills her wish of doing her first Christmas CD. Close your eyes while listening to the album and you can almost imagine yourself in a mountain cabin, curled up with a warm blanket as snow falls outside the window.